In today’s rumor rundown, there was a ton of speculation thrown out during the Saturday Headlines segment on Hockey Night in Canada which included rumors regarding Matt Duchene and Alex Pietrangelo. There’s also word that Auston Matthews could be the target of an offer sheet and one NHL insider says most of the trade talk in the NHL these days surrounds nine specific teams. After Matt Duchene pulled up in a game against the Canadiens, an MRI was done and it appears the injury is not as severe as some people were first concerned it might be. Word is about two weeks to heal a groin issue but it could be longer than that. As for his contract negotiations, there were talks the team and Duchene were getting a little closer but no numbers were ever exchanged. Nick Kypreos said during Saturday’s Headlines Segment that the Senators patience may run out sooner than later and flat out ask Duchene what his intentions are. Kypreos thinks if the organization doesn’t get a commitment from Duchene in the new year, they will need all the time they can get to structure the best package possible in a trade. 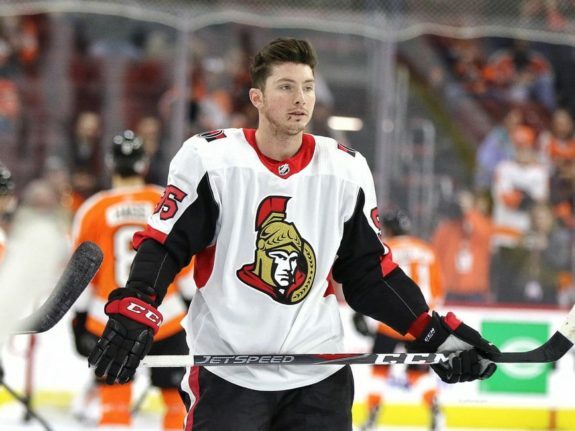 Chris Johnston added that the timing might work well for Duchene because fellow free agent and Senators forward Mark Stone is eligible to sign a new deal after January 1, 2019, and Duchene may want to know if Stone plans on staying before he chooses whether or not he wants to sign. 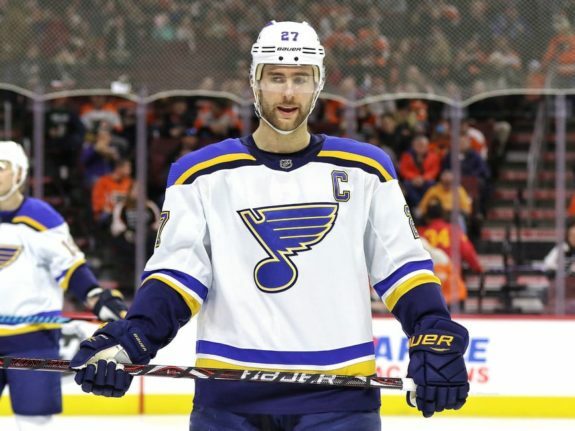 Kypreos also said during that segment that St. Louis Blues defenseman Alex Pietrangelo’s name has come up in trade rumors despite a hand injury that’s keeping him out of the lineup. One GM said that despite the setback, he’s still the best all-around d-man available at this year’s NHL Trade Deadline. Word is, general manager for the Blues, Doug Armstrong is not shopping Pietrangelo, but the buzzards are circling and teams are calling considering he’s got one more year on his contract and St. Louis has some tough decisions to make with contracts on a team that has struggled mightily this season. Kypreos then threw out a bomb of a nugget by suggesting the Toronto Maple Leafs might be interested and the deal could include Nikita Zaitsev, a first-round pick, a young player like Kasperi Kapanen or Andreas Johnsson. Realistically, this would be the only way Toronto could make this move is if they cleared some salary in the trade. Elliotte Friedman chimed in and suggested that with the William Nylander drama now over, there are trade talks picking up and a number of teams that seem to be among the most active. Those teams are Philadelphia, St. Louis, Chicago, Anaheim, Los Angeles, Minnesota, Boston, Pittsburgh, and Florida. One of the next major items on the Toronto Maple Leafs to-do list might be fending off potential suitors for Auston Matthews, who’ll be a restricted free agent following this season. Everyone is aware that the Leafs would like to try and get a Matthews deal done, but there is “widespread feeling within the industry that Auston Matthews would be the rare player who would be targeted by an offer sheet,” Sportsnet’s Chris Johnston said during Hockey Night in Canada’s “Headlines” segment. The likelihood that Matthews gets to an offer sheet situation is slim because the Maple Leafs will want to avoid that at all costs. But, the threat of one gives Matthews all the leverage here. If the offer sheet is high enough (which it would have to be for Matthews to sign it) Toronto would match but then have to dump players. If they don’t match, they lose him. And, either way, they’ll have to pay him huge money just so Matthews himself elects not to go that route. Should the Maple Leafs not sign Matthews and Mitch Marner right away, on July 1 is where all of this gets really interesting since both could be targeted by other teams. The Ottawa Sun’s Bruce Garrioch reports that the Kings are actively working the phones hoping to make another move ahead of the NHL’s holiday roster freeze, beginning on December 19th. Some rumors suggested that the struggling Jeff Carter might be the center of the discussion but Garrioch feels that Tyler Toffoli is the player to watch. The Kings aren’t happy with a lot of underachievers on their roster and nobody should be surprised if there are more changes made there. The Kings are getting lots of inquires about forward Tyler Toffoli.